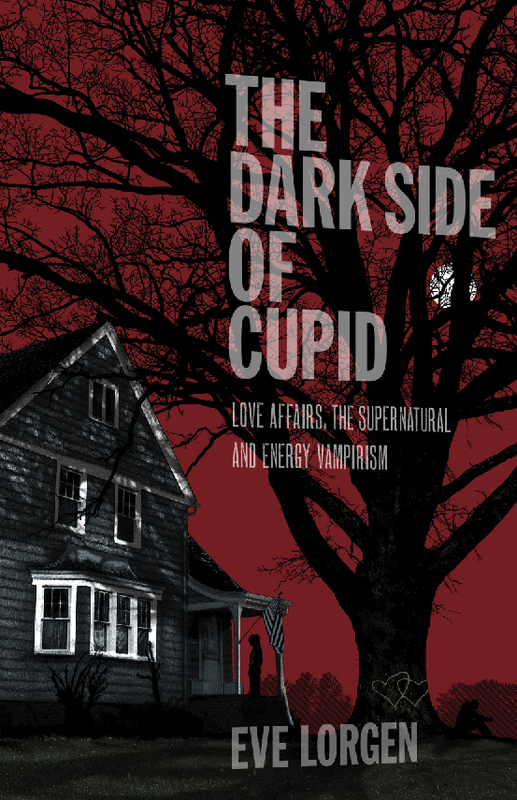 The Dark Side of Cupid is about love affairs, the supernatural and energy vampirism. These love connections are believed to be supernaturally arranged and interfered with in such a way as to create a kind of forged soul mate connection. These connections are very powerful, and the psychic bond-link is strong.The energy is very palpable, and you know it when you feel it. So much so, at least one lover in the dyad believes the other must be their soul mate. This is similar to what is experienced in the alien love bite phenomenon. But in this book, not all persons who reported this kind of love relationship believed themselves to be abductees, nor was there any distinct observation of alien beings responsible for these powerful psychic connections between lovers, except for a few cases. In my view however, I believe the aliens can function in a more interdimensional way, and may be responsible for much more than what we have traditionally understood in the classical alien abduction literature. This book is not about alien abduction research, but rather a guide for those to be able to discern when a more subtle form of interference is taking place within their love relationship. People from all over the world have come to me in search of answers about unusual love relationships that they believed could be alien orchestrated and manipulated. In the initial years of my research all individuals knew themselves to be alien abductees. But more recently, and over a span of 20 years working with alien abductees and anomalous trauma victims now, I’ve received reports from individuals who were not abductees, but somehow ended up in a type of love bite relationship with a partner who they believed to be heavily interfered with or overshadowed by an alien, reptilian, interdimensional, or attached entity of some sort. In The Dark Side of Cupid the focus is on recognizing, dealing with and healing from soul draining love affairs that are believed to have been supernaturally arranged and interfered with. Sixty percent of the cases in the book reported at least one alien encounter, however. I believe that nearly all of the cases involve some kind of alien being, such as a reptilian, an interdimensional being–or an attached entity, that was responsible for creating the connection between the lovers, and interfering in such a way as to create chaos and drama. Lots of drama. The focus of this book is not alien abductions per se, or the relationships of “abductees”, but the paranormal and supernatural things that occur when a couple is being set up together, by a supernatural being who may be interloping as Cupid. Of course there is the question whether these types of beings are really who is behind the Cupid myth. I also believe the aliens may be responsible for masquerading under many forms, but ultimately are playing a very big game with humans on this earth and especially in love relationships. It is larger than the alien abductee population and my intent is to bring this to a larger audience, in such a way that the symptoms of such a relationship are brought to the light of awareness, so one can recognize alien manipulation. It’s not all about UFO’s, medical exams and hybrid genetics, but something much more important and widespread. The human soul. I believe the ultimate purpose of the beings interloping as Cupid is a form of energy vampirism, feeding off the soul, if you will. Energy vampirism can be subtle or profound. In the cases of this book there is a distinct range of symptoms, from annoying emotional vampirism and the sense it is being set up as if you are a puppet in some TV reality show– to a more definite inner knowing, replete with paranormal activity, magical synchronicities and a roller coaster of emotional drama. It can be as lethal as demonic vampirism where your health, sanity and life feel endangered, where one partner is literally hosted or overshadowed by a non-human interdimensional entity-such as a reptilian–who wreaks havoc in the life of the love bite experiencer. One third of the book is about how to recognize whether your love connection is orchestrated or manipulated by supernatural sources. This is the awareness and educational factor, to understand how to recognize signs and symptoms of such a connection. Supernatural interference can occur in a neutral, benevolent or predatory way, and discernment is an important part of how to recognize such interference. Over a dozen case histories are described, so that one can get a clear understanding via real life stories, how the Dark Side of Cupid operates. The second third of the book is about dealing with and resolving the love relationship if you know there is manipulation and interference. This involves psychological intervention strategies like compassionate communication skills. This is helpful if the couple understands there is manipulation, and they want to work it out, as the connection can be quite strong with good chemistry. Some couples have been able to work these things out so that the love affair survives. But this success only comes with awareness of what is happening and a strong resolve to work things out by learning how to communicate and be resilient to “alien” manipulation. The last part of the book involves paranormal intervention strategies and healing issues regarding a love relationship that is going to break up or was severed. This is the most powerful part of the book, because it takes emotional intelligence, spiritual integrity and strategies such as taking up a spiritual practice. Things like daily prayer, shamanic healing, spirit release work, meditation, yoga and engaging in advanced hypnotherapeutic techniques have been helpful. More recently Iv’e had success with the liberation techniques of Dr. Corrado Malanga, such as SIMBAD and FMS. These techniques are designed to reduce and ultimately eliminate alien interference, including the alien love bite manipulated love connection. 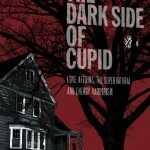 Experiencing a dark side of Cupid love affair is a wake up call. This is an opportunity for awakening spiritual and emotional intelligence. This will enable the seeker of true love to be able to recognize true soul mate connections versus counterfeit ones.